Salut @POM, et bienvenue sur le forum Seamly2D. Nous sommes une fourchette de Valentina, alors je vais essayer de vous aider. Depuis que j’écris en anglais et que j’utilise Google Translate pour traduire en français, les choses peuvent ne pas être aussi claires que je le voudrais. Toutefois, si vous utilisez Google Chrome, vous pouvez cliquer avec le bouton droit sur n’importe quelle page pour la traduire dans la langue de votre choix. Il y a beaucoup de conversations avec des conseils très utiles sur le forum. En haut à droite, il y a une icône de classe grossissante qui est la recherche que vous pouvez utiliser pour trouver une conversation sur l’aide dont vous avez besoin. Valentina et Seamly2D sont dans deux programmes. 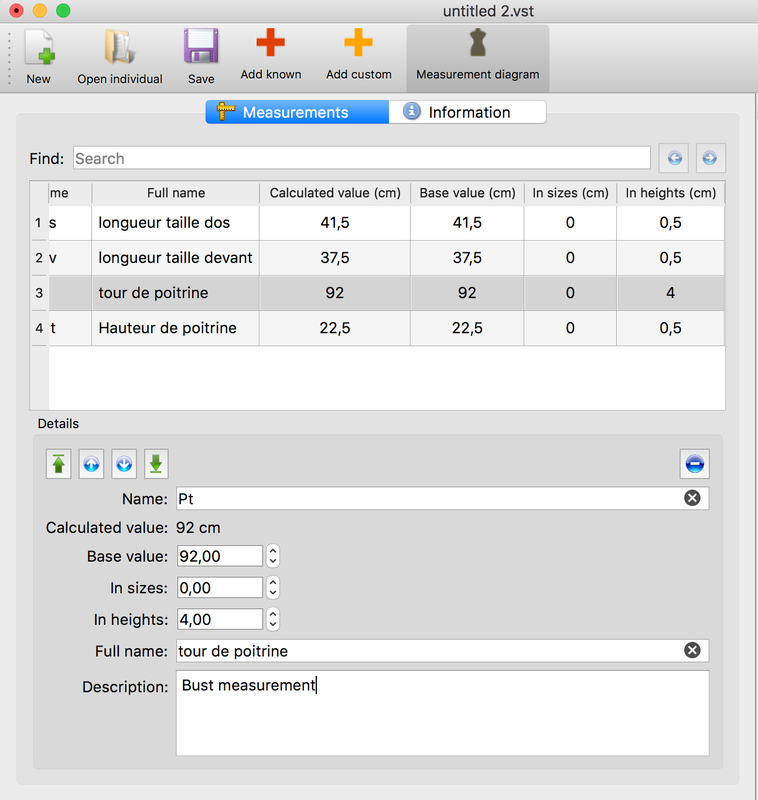 Un pour les mesures (Tape / SeamlyME) et un pour la création de motifs (Valentina / Seamly2D). Je ne suis pas sûr de ce que vous demandez, mais j’espère que vous trouverez votre chemin dans le programme à partir des suggestions ci-dessus. Si vous avez besoin d’aide, n’hésitez pas à demander. 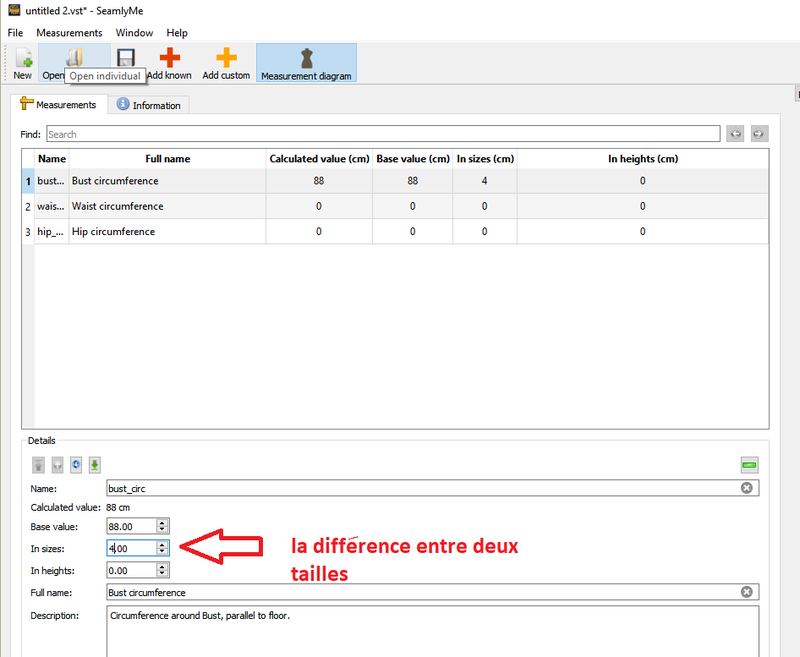 Tu dois utiliser ‘multisize’ dans Tape / SeamlyMe. Je dois le faire pour tous les mesures et je dois enregistrer le fichier. Après que j’ai dessiné le patron dans Valentina ou Seamly2D, je peux sélectionner la taille au bas du programme. 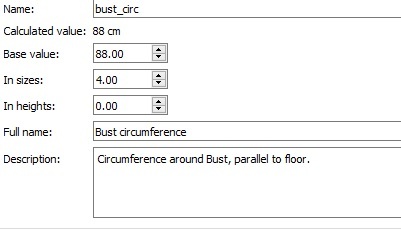 Tu dois utiliser les formules (par example 1/4*bust_circ),et pas les nombres (par example 1/4 * 88), ou ça ne va pas marcher. 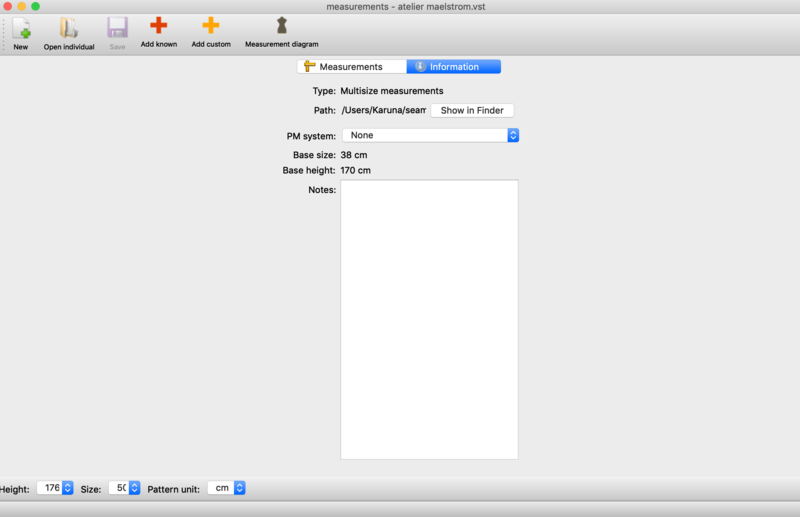 quelle est la difference des augmentations de taille en “sizes” vs “height” ? 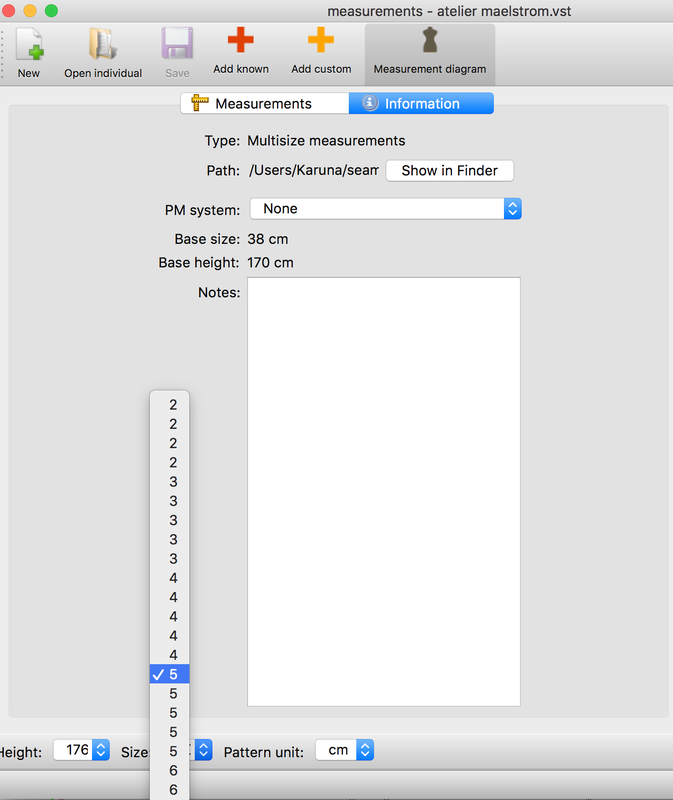 est ce que toute mesures horizontale augmente en sizes, et toutes mesure vertical en height? 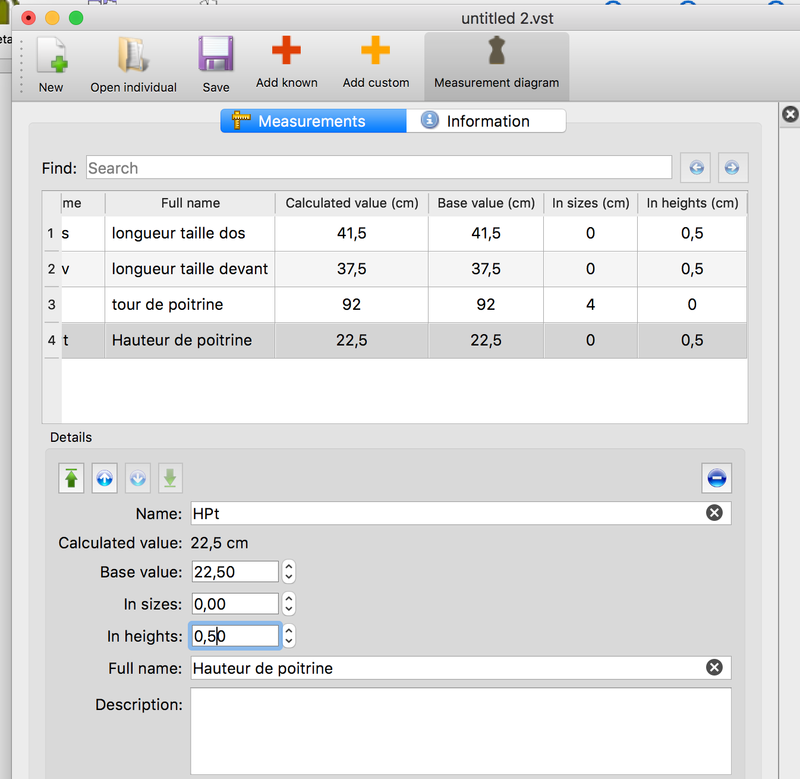 Si oui, comment augmenter la mesure de la hauteur de poitrine ( no. 4 dans l’image) qui est prise en diagonale et doit augmenter dans son prolongement. The words and method programmed into the multisize table feature weren’t vetted by our users, so they’re a bit flaky. 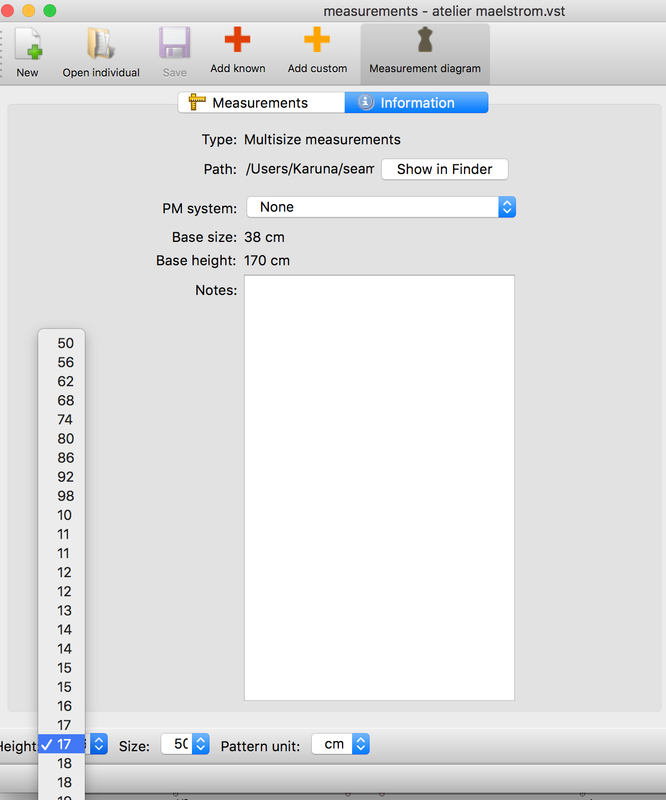 ‘Height’ simply means the additional measurement added to calculate each successive size. It’s the value used in the size grading formula. 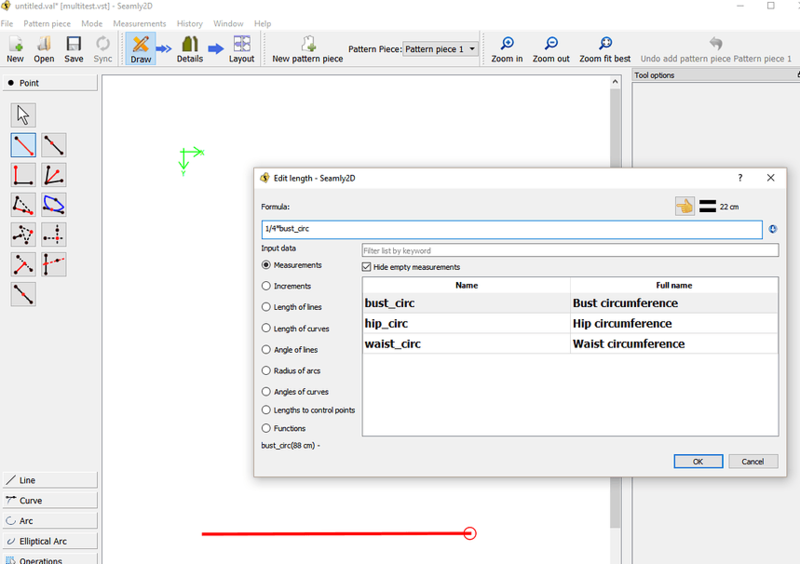 so this would mean that my gradation value or difference in value for any given measurement from 1 size to the next is to be filled in height be it for a horizontal , vertical or any other angle line or curve, and the size value will always remain 0. I depends how you want to use it. I only account for people to stay the same lenght/total height, for example person A is 164cm and size 38 and person B is also 164 cm and size 42. So I do not fill in anything in the heights, and I always leave it on 164 cm in the pattern. Every time I chose a different size in the bottom left corner of Seamly2D, my grading will be applied. The only reason I would use both Size and Heights, is if I would also want to take into account petite or tall sizes. Otherwise there is no reason to. I do the opposite if I draw children’s patterns, since the sizing is basically by height in Europe. 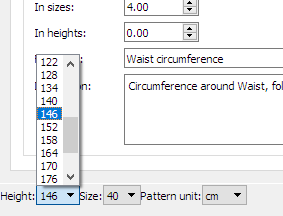 I just chose size 50 as size, but it does not have any significance, I never change it. 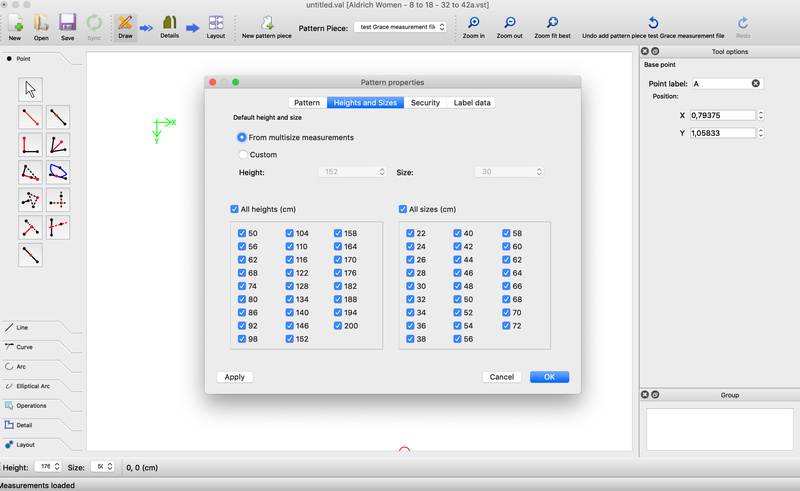 And if I need child size 110, I will change the “height” in Seamly2D to 110, and my grading rules will be applied. Oh, wow! @AVI This was one of my very first queries that’s been niggling me for over a year that you have answered beautifully. Thank you, thank you, thank you!!! It now makes total sense to me, too, now. The vocabulary of the multisize table is it’s greatest drawback, and prevents users from understanding what it does. So thanks @Avi for this explanation!! and when i go to change the size i also see a completely different set of number , with the same number being repeated multiple times. does someone have any magic tips for me to resolve this? 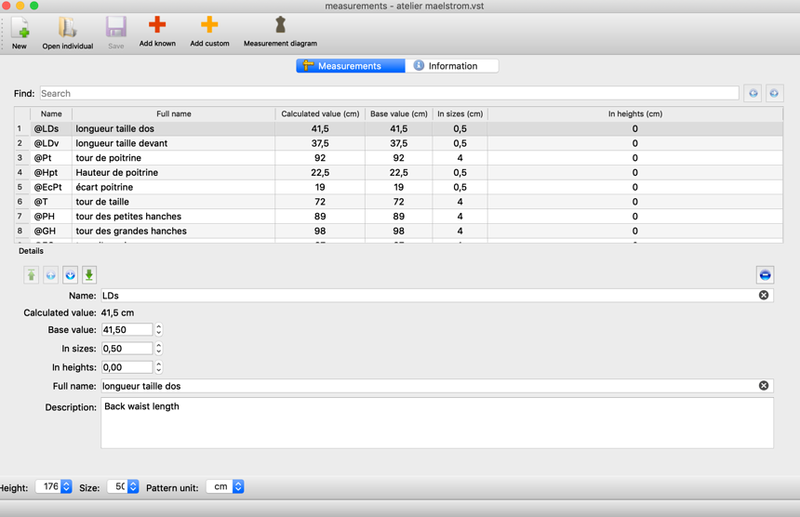 If you can send me your measurement file (.vit), I can test it on my version, because mine’s working fine. I haven’t been able to recreate the problem on my Windows 10 pc. Can you please upload your .vst file here so that someone else can also check it? Also, please state what operating system your computer is running on and paste an image of the version of Seamly2D and SeamlyME so that someone who has the same operating system and software can also check to see if they can recreate the problem. I recently started using Seamly2D. I use the version compatible with Mac OS. 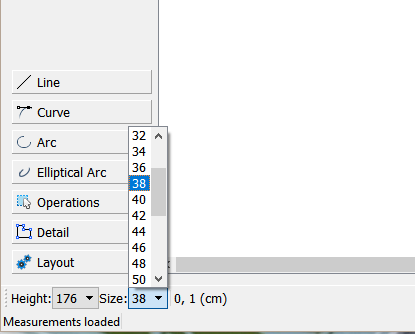 The problem I’m facing started when i was on OS 10.13, and is still persisting after I upgraded to OS 10.14.
the problem is that the tab at the bottom left doesn’t show the right height and sizes, and shows completely different numbers when i click to select a different option. 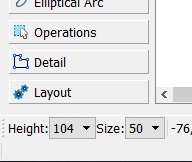 If i try to change the size i read a single digit numbers , each multiple times. 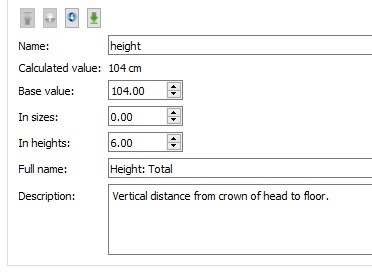 and when i try to change the height i see 2 digit number which i don’t know how to co-relate to the height i’m looking for. 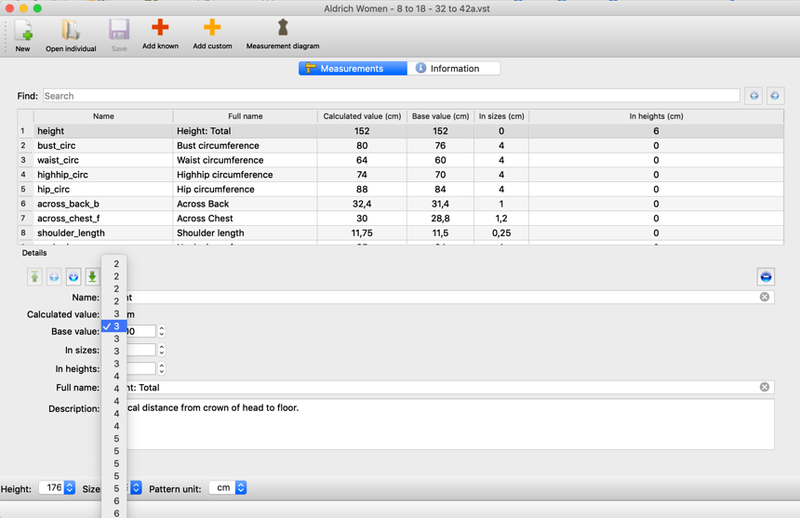 Grace shared her .vst file with me and advised me to make sure i had all heights, and all sizes selected, which i did. And I also face the same problem in heights. Just to be sure, I even uninstalled and reinstalled Seamly2D yesterday, just to be sure that its not a problem i faced during installation. Of course there might be other settings that need to be changed, and I hope someone can tip me off on that ! I tried your vst file and it works perfectly for me (windows), I hope someone can help you out soon. I just thought of something. Can you try uninstalling the program and re-installing it? yes, it seem to work perfectly on windows. @Grace told me the same. it is,a holiday in the us so I don’t know how quick the response will,be. I am at a remote beach house with no tech other than a smart? phone. I also do not have a mac but I may be able to reach out to a friend who does. 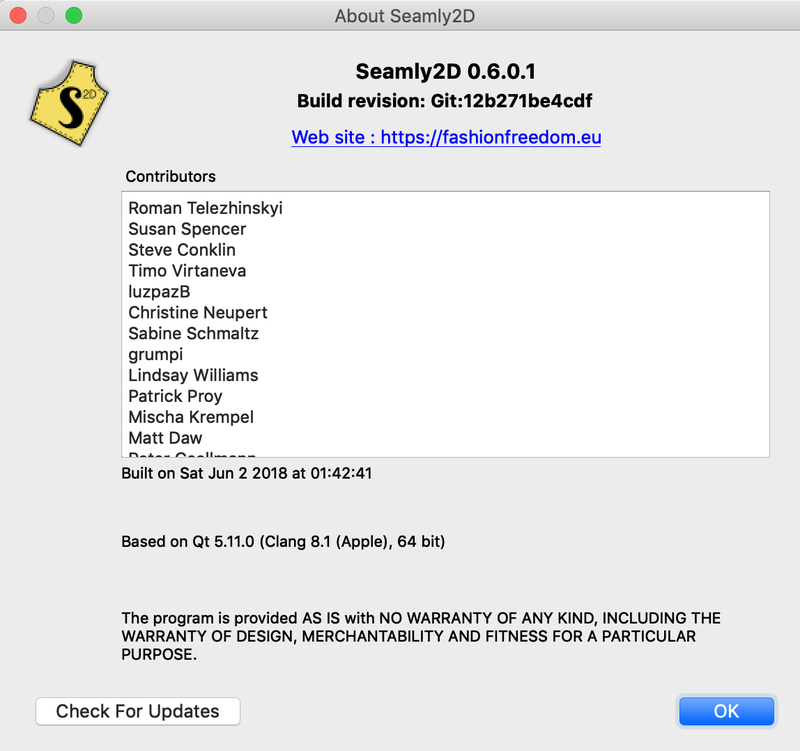 @Karu I looked at your screen shot and it seems that you DO have the most recent mac version of seamly2d installed. if they are on the forum, perhaps @Mrdoo or @slspencer may have an idea. I’ve not had a chance to try and re-create this, but just an observation. 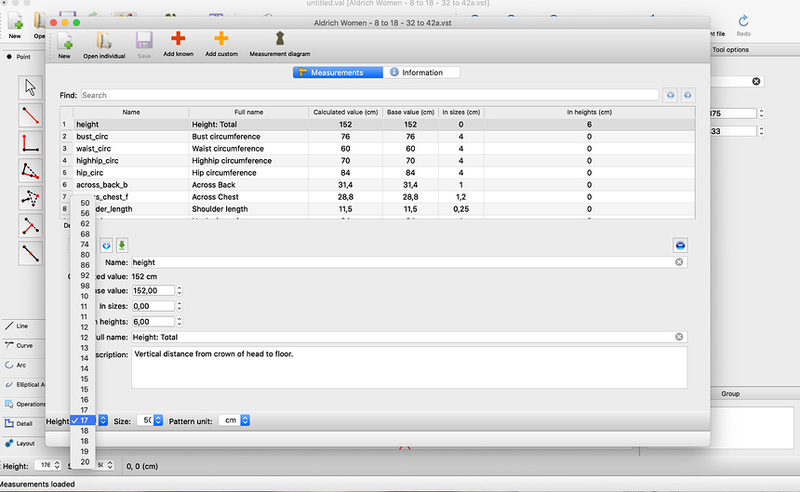 The values you are seeing are being truncated because the font is too big for the control. I.e. the 2, 2, 2, 2, 3, 3, 3, 3, 3, 3 you are seeing are the 22, 23, 26, 28, 30, 32, 34, 36 38 values. You are only being shown the first character. They will be in the correct order (I assume) and therefore picking the middle 3 would be 34. The same applies to the heights. Where the heights are two digits it is okay, but when they are three digits you are only seeing the first two. 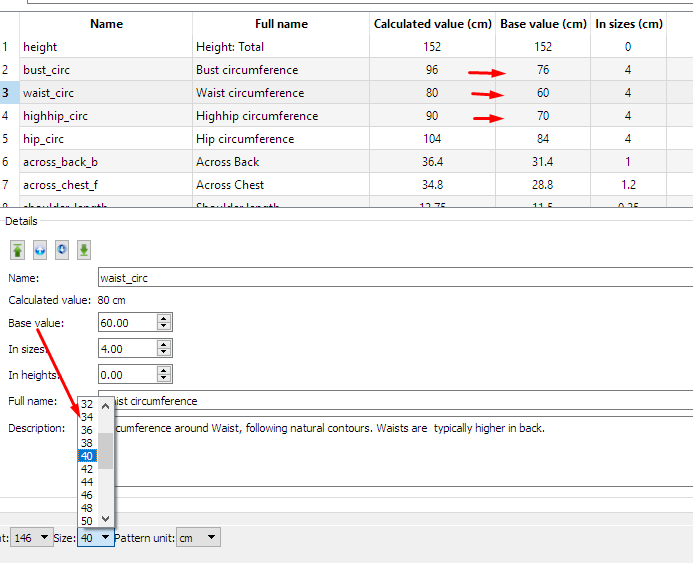 I don’t know whether it is possible to configure the font or font size in Seamly2D configuration? Do you have any accessibility settings switched on on the mac? that does make a lot of sense @MrDoo, thank you! 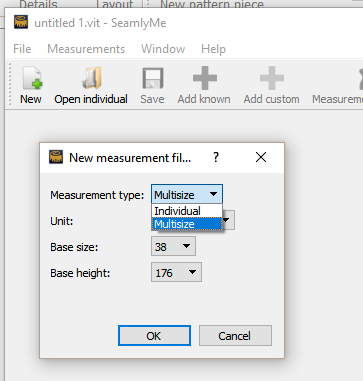 Does someone else know if there is a way to change the default font style or font size on seamly2D interface ? Oh, maaannnn… Thanks, @MrDoo, for explaining this. It does make sense. @Karu, I think, if you can, check the default settings on your PC. I think this may be directly related to this and I can’t find any settings that you can select the font type and size And either everyone else doesn’t use multisizes, or they’re not having the same problems.